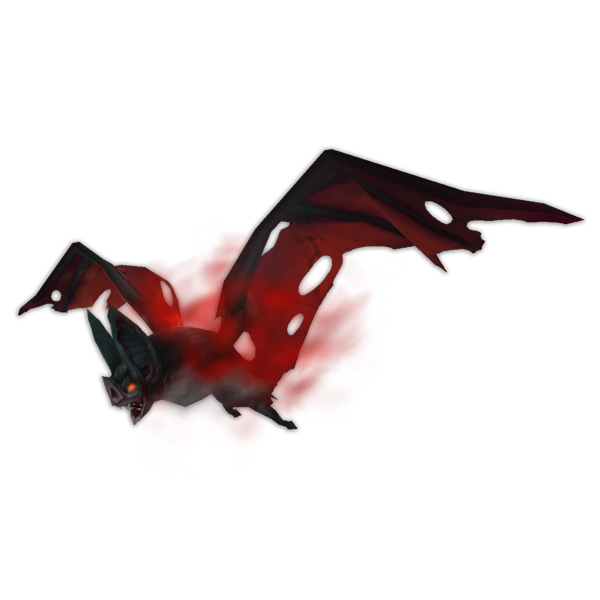 The Pet Journal currently lists this little bat as from a Legionfall Chest. It's unclear if this chest will be a reward from the new Armies of Legionfall reputation emissary, or some other lootable item/object. This pet is Bind On Pick Up, but is cageable. We'll have more information on how to collect this pet as it becomes available. Hopefully this bat will get along with its cousins, the Firebat Pup and Felbat Pup. Mages will have a fun new battle pet toy to look forward to in 7.2. Upon completing the achievement Power Ascended (empower an artifact weapon and unlock every trait), Mages will be able to purchase a Magical Saucer for 10k 1k Order Resources (pictured right, image courtesy of @Mononic1). This toy allows battle pets that are usually grounded to fly alongside you while on your flying mount. Now all of your companions can accompany you on all of your adventures! We have to wonder, will this toy work with all battle pets? Some companions already have the ability to fly with players, so perhaps the Magical Saucer will just provide those pets with a much needed break. It's unclear if all classes will be able to use this toy once added to your collection, but we speculate that this will be the case. We look forward to discovering how this neat toy will interact with different pets. We recently previewed the Wailing Caverns Pet Battle Dungeon, however it's received a small update since then. All encounters within the scenario are accompanied by two additional enemy pets. However, this now also includes the "boss" battles (example pictured left) which were previously single pet fights. Note: The two backline pets do not have the Boss passive. In addition to this change, all non-boss encounters are now on the same level as your average, everyday wild battle. The enemy pets on these teams no longer have the Elite passive. We can't wait to hop into the Pet Battle Dungeon, but how about you? Are your pets ready for a new adventure? The bat looks great, but I'm rather sad that I now need to add a Mage to the list of classes that I need to level up for this patch. That toy is just way too awesome.